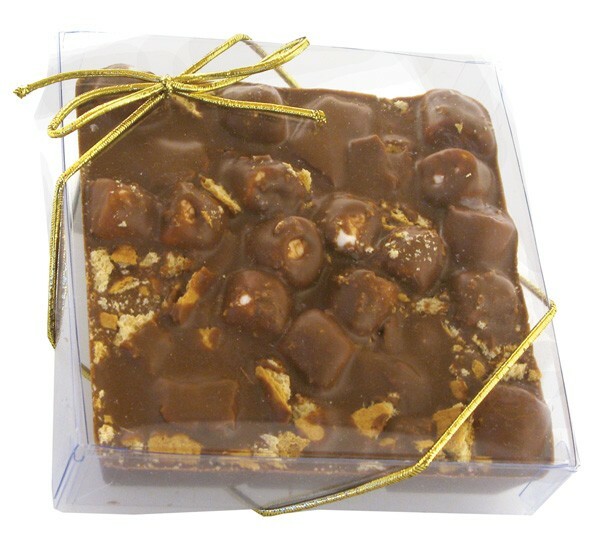 7 oz of delicious chocolate candy with your favorite ingredients added. Create your own custom personalized chocolate candy bar using our comprehensive list of stock ingredients. Packaged in clear box with silver or gold stretch band bow. Price includes 4 color label on the box. 1). Choose your chocolate candy flavor: Milk, Dark, Dark Mint, or White (add $0.50 for dark mint or white).